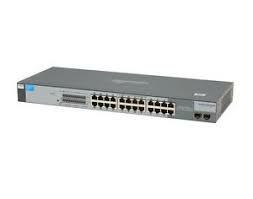 The HP ProCurve Switch 2724 is a low-cost, unmanaged 24-port switch with 10/100/1000 auto-sensing per port. 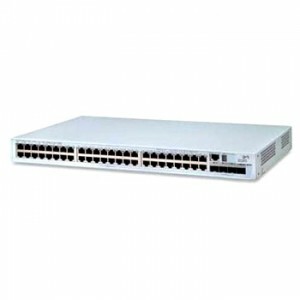 The HP Procurve Switch 2724 offers HP Auto-MDIX on all 10/100/1000 ports and is ideal for building networks with connectivity for any combination of 10 Mbps, 100 Mbps, and 1000 Mbps devices. 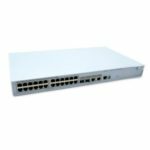 The 3C17203-US provides high-performance, feature-rich Wire-Speed Ethernet LAN switching. This affordable, intelligent 10/100 switch is fully manageable, making it ideal for networks of any size. 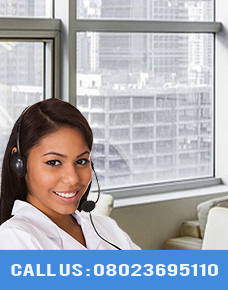 Wire-speed performance, support for network telephony, and two uplink slots accommodate demanding applications. 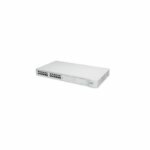 Optional plug-in modules offer resilient high-speed connectivity.